BRUSSELS (Reuters) - NATO invited tiny Montenegro on Wednesday to join the military alliance in its first expansion since 2009, defying Russian warnings that enlargement of the U.S.-led bloc further into the Balkans is "irresponsible" action that undermines trust. 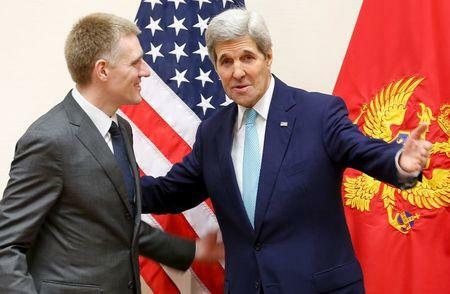 U.S. Secretary of State John Kerry said the decision to invite Montenegro was not directed at Russia. 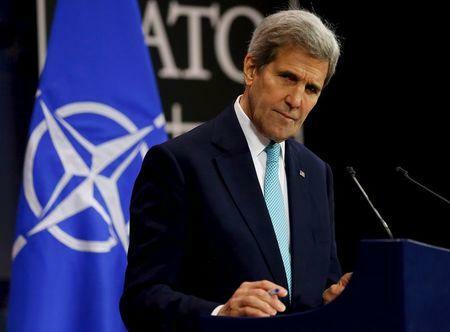 "NATO is not a threat to anyone ... it is a defensive alliance, it is simply meant to provide security," Kerry told a news conference. "It is not focused on Russia or anyone else." NATO diplomats said the decision sends a message to Moscow that it does not have a veto on the alliance's eastwards expansion, even if Georgia's membership bid has been complicated by its 2008 war with Russia. Russian Foreign Minister Sergei Lavrov said in September that any expansion of NATO was "a mistake, even a provocation". In comments to Russian media then, he said NATO's so-called open door policy was "an irresponsible policy that undermines the determination to build a system of equal and shared security in Europe." RIA news agency cited a Russian senator as saying on Wednesday that Russia will end joint projects with Montenegro if the ex-Communist country joins the North Atlantic Treaty Organisation. The Adriatic state of 650,000 people is expected to become a member formally next year. NATO foreign ministers broke off practical cooperation with Russia in April last year after Moscow annexed Ukraine's Crimea peninsula and sparked the conflict in eastern Ukraine that has killed more than 8,000 people. They can still talk to Russia through political and military channels, however. Those difficulties were underlined by a foreign ministers' joint statement that provided little momentum in Georgia's membership talks. Ministers repeated their long-held position that Tbilisi must continue to prepare for membership one day, calling for Russia's military to withdraw from Georgia's breakaway regions of South Ossetia and Abkhazia. Russia's continued presence there and agreements signed between Russia and the two regions "blatantly contradict the principles of international law," the statement said. NATO's founding treaty deems an attack against one ally an attack against all, giving any member a guarantee of protection. But Georgia, which is a partner but not an ally, does not qualify for any such protection. NATO membership is also dependent on a country settling any outstanding territorial disputes - another big hurdle for Georgia. After Albania and Croatia joined NATO in 2009, only Serbia, Russia's closest ally in the Balkans, is the only Balkan country not actively pursuing membership of the alliance. Foreign ministers signaled support for Macedonia and Bosnia and Herzegovina, but neither are expected to join soon. 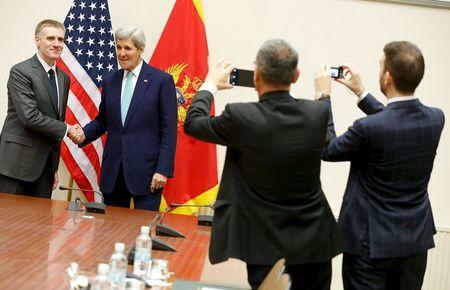 Even though Montenegro has now been invited, it could take months for it formally to join. But Stoltenberg said he expected accession talks to go quickly, suggesting that the small Balkan state might become a member at the next summit of NATO leaders in July in Warsaw.